These days when hunting for the best VPN you’re spoilt for choice. Most VPN services are essentially offering the same service but as you’ll probably already have discovered, they vary in quality. You’ve probably already asked questions like does this VPN have a kill switch? or does this VPN unblock Netflix? There is however a base of features that any good VPN service should have but sadly, 90% of them lack the full suite. So let’s take a look at the 10 features your VPN service should have. If they don’t have at least most of these, then you safely say there’s a better VPN service out there for you. It may seem overly simplistic to start at the lowest denominator, apps. But even at this point in VPN history, there are still some providers that don’t support apps for all devices. While you could spend time tinkering around manually setting up your VPN service the truth is, most of us just don’t have time for that. At a bare minimum, your VPN provider should offer apps for Windows, Mac OS, Android and iOS devices like the iPhone or iPad. If they don’t offer these four, give them the boot. I would also say having Linux and Amazon Fire TV Stick apps is a definite bonus and providers like ExpressVPN and NordVPN now offer the full set, so why don’t 90% of others? It’s no good having apps if they simply get you connected without doing the added jobs that help you stay secure. Providers such as IPVanish offer these as built-in options which go to the extra lengths to help retain your privacy in some of the most common leak situations. Others such as NordVPN go a step further and have an option called ‘Cybersec’ which protects you against malware, phishing and stop adverts. While this shouldn’t be a major consideration it’s an added bonus when available. While no VPN claims to log what you do while connected (even those sketchy free ones) to their service, some do log your connection data. This can include the times you connected to their service and the server you were assigned. Essentially this makes their non-logging of your activity useless because anything carried out at the time you were connected can still be attributed to yourself. A VPN provider with a proven no logging policy is essential. VyprVPN recently unveiled their new no-log stance and backed up the claim with an independent audit. NordVPN have offered a similar audit although more broad in scope and not simply against their no-log claim. Others such as ExpressVPN and PrivateInternetAccess have found themselves tangled in court cases that have gone some way to prove their ‘no log’ claims to be true. While it’s impossible to self-verify if a provider’s no-logs claims are true, there are some that offer evidence backing up their claim. A Warrant Canary is a system designed to alert users when a VPN service has been impacted by some kind of law enforcement gag order. As an example, this could be when law enforcement takes over monitoring of a VPN server but forbid the owners to inform the public. The warrant canary is essentially a sneaky way of letting you know without specifically telling you that the VPN server or service is no longer safe. 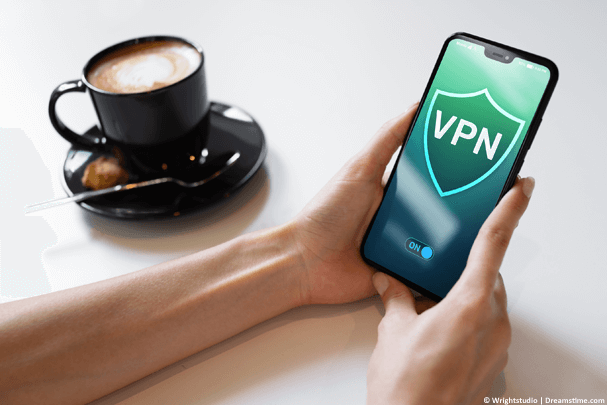 While this isn’t a completely foolproof method and the usefulness of it mostly untested there are some VPN services which have opted to use it. Most notably Proxy.sh, LiquidVPN and VikingVPN are at the forefront of Warrant Canary use. Proxy.sh found their warrant canary sprung in 2016 and while reasons are still unknown it alerted eagle-eyed users to avoid one of their French servers. More recently VikingVPN caused a false alarm after a simple oversight led to their warrant canary going into effect. While using a VPN for privacy reasons is clearly the original purpose there are millions of users using them solely for accessing TV services from abroad. One of the most popular would be Netflix. Not all VPN services work with Netflix but there is a handful that does. VPN’s like ExpressVPN, NordVPN and CyberGhost VPN all work well with American Netflix. You can even access a couple of other regions such as Canadian, British and Australian Netflix although your mileage may vary. Other popular services include the likes of BBC iPlayer, ITV Hub and Sky Go. Again, ExpressVPN works well with these as do a few others but not all do. If unblocking TV services is your main purpose for using a VPN then ensure the one you sign up for unblocks the services you require. Almost all VPN providers worth their salt should provide some kind of refund policy. The length of these can vary greatly from just 7 days right up to 45 days. A VPN service is not a set quality and can vary over time. To make sure it’s suitable for your needs and so you can monitor it over a lengthy period of time it’s recommended to use VPN services that give 30 or 45-day refund policies. CyberGhost VPN offers one of the longest money back guarantees, currently at 45 days. While VPN services are there to generate profit and that goes without saying, some give back to the privacy community. Although some simply make profits, others reinvest some of their profits into good causes. Causes that fight for the privacy of users such as EFF and OpenRightsGroup are a good place for VPN services to donate to. Providers like ExpressVPN and IPVanish have donated to EFF with PrivateInternetAccess and NordVPN donating to the OpenRightsGroup. While it isn’t a requirement it is a good sign when your VPN service supports good causes fighting for the privacy of users. Encryption matters when it comes to VPN services. The level of encryption used can vary between services. Any good VPN service should at the very least be offering the OpenVPN protocol with at least 256-bit encryption. One concern is authentication. Many lesser VPN services use just a 1024-bit RSA key for handshaking. These days you should expect at least 2048-bit with 4096-bit even better. Providers like VPN.ac use such encryption and if you’re unsure where to check you could simply ask your provider what authentication encryption levels they use. While many providers offer apps for multiple devices it’s not much use if you can’t use the service on more than 1 or 2 at the same time. Choosing a VPN service that allows a good amount of concurrent connections is a must. Concurrent connections are when a provider allows you to use one service on more than one device at the same time. IPVanish, for example, allows you to use their VPN service on up to 10 devices at the same time, CyberGhost VPN on 7 and NordVPN on 6. To improve your online privacy it’s important to use a VPN service that offers shared IP addresses. When you connect you’re assigned a new IP address and everything you do is tagged with that. By using shared IP addresses it means other users at the same time are making use of the same IP address. If a service doesn’t make use of shared IP addresses then it means you’re the only one using it at that time. Any actions you carry out can be attributed to yourself rather than being mingled with other user’s activity. If your provider doesn’t give you the option or use shared IP addresses as standard, find yourself a better service. Above are 10 of the most important features a VPN service should provide but unfortunately many don’t. If your current service offers any less than 6-7 of those then it’s definitely recommended to move on to a better service. As most VPN services cost approximately the same it means you can get a much improved service for the same price.